NMS Healthcare of Hyattsville is the entity formerly known as the St. Thomas More Medical Complex. The latter appears to have been acquired in 2008 (according to Medicare ownership data). Medicare rather confusingly states that the name of this facility is "St. Thomas More Medical Complex," but that the legal business name is "NMS Healthcare of Hyattsville LLC." NMS-Hyattsville, located in that Maryland town, is a for-profit corporation operating 260 certified beds. Its services include post-acute care, rehabilitation services, pulmonary management, transitional care, pain management, hospice care, IV therapy, and complex wound care. NMS Healthcare of Hyattsville is an unusual quantity. In fact, "quantity" is a good word for it: with 244 residents at last count, this facility is far larger than average: well over twice the Maryland state nursing home norm, and nearly three times as large as the typical home nationally, in terms of population size. Ultimately, every single thing our nursing home lawyers say about this nursing home has to be filtered through the lens of this lawsuit brought by the State of Maryland. that over 1,000 elderly residents were tossed from NMS nursing homes to make room for patients who could pay NMS more money. Many of these alleged victims were sent to homeless shelters or unqualified nursing homes. The allegations are that over 1,000 residents were illegally kicked out of NMS nursing homes to make room for patients who could pay NMS more money. Allegedly, some of this victims were dropped off at homeless shelters. Does this make us question their quality scores and everything else about this nursing home? It should. So the ratings here are halfway decent and that is what we talk about below. But there is reason to be wary of NMS nursing homes. Before we get deep into this facility, let's look at the competition in the area. 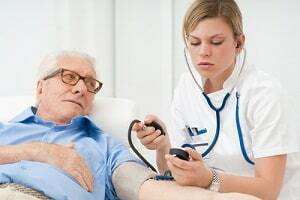 Sacred Heart Home Inc.: NMS Healthcare happens to be located in a high-powered area, in terms of nursing home performance. Of nine facilities within a two-mile span, six got either a 4-star or 5-star Medicare rating overall; and seven of nine got the very impressive 5-star rating for quality measures. Sacred Heart in Hyattsville was one of the best of all nine, getting 5 stars for quality measures and 5 stars overall, clearly outscoring NMS Healthcare. Very good beats good. Carroll Manor Nursing & Rehabilitation Center: Washington's Carroll Manor got even higher Medicare scores than Sacred Heart: three of its four main Medicare ratings were the top 5-star score. NMS Healthcare's Medicare ratings were not bad, but Carroll Manor's were as good or better in all four Medicare categories. Very good beats allegedly good. Crescent Cities Center: Going strictly by the main Medicare ratings, Crescent Cities Center in Riverdale is very closely comparable with NMS Healthcare of Hyattsville. Their four main Medicare rankings nearly match. Washington Center for Aging Services: This Washington facility's Medicare scores, too, were very near the same as those of NMS Healthcare. Washington Center did beat NMS on quality measures, 4 stars to 2 stars, while NMS was a bit better on the health inspection. ManorCare Health Services - Hyattsville: Like Crescent Cities and Washington Center for Aging Services, this Hyattsville facility gets Medicare rankings almost identical to those of NMS Healthcare. Statistically speaking, these two facilities are about even (ManorCare came out a little better in terms of nurse staffing). ManorCare Health Services - Adelphi: This ManorCare facility in Adelphi was one of seven nursing homes within a two-mile area to get the top 5-star rating for Medicare quality measures. That one stat places this facility in elite company. But that 5-star rating came along with a 1-star rating for its health inspection, and 2 stars overall, placing this facility much below NMS-Hyattsville in terms of the Medicare numbers. Sligo Creek Center: NMS Healthcare beats this Takoma Park facility in all four main Medicare categories, most severely so with its 4-star overall rating compared with Sligo Creek's 1-star overall rating. This isn't much of a horse race. Althea Woodland Nursing Home: Althea Woodland, in Silver Spring, scores marginally better than Sligo Creek Center, but not much more so, and it definitely is an also-ran compared with NMS Healthcare. It did beat NMS on staffing, 4 stars to 2 stars, but we think Medicare's 2-star call for NMS on staffing may have been too low. With a total of seven deficiencies in its last standard health inspection (November, 2015), NMS Healthcare came in just below the U.S. average (7.2 deficiencies) and cleanly below the Maryland average (11.5 deficiencies). The Medicare rating for this facility's health inspection: 3 stars. NMS-Hyattsville had four separate Medicare complaint inspections in 2016. A complaint inspection in February, 2016, addressed the single complaint that staffers were slow in ordering a new motorized wheelchair for a resident after her chair had broken down. (Asked how this delay affected her, she said it made it harder for her to get haircuts and manicures and go to the movies.) Another such inspection in April found that the facility had not evaluated a new resident for intellectual disability, which the residents subsequently was found to have. A July inspection dealt with two money matters: first, the facility had failed to make a complete accounting of some residents' personal funds; second, it failed to bring to closure the personal accounts of two deceased residents within a 30-day period. An August inspection found that the facility had failed to give the required 30-day notice of its intention to discharge a resident. Are these directly related to patient safety? No. Does it give you a warm and fuzzy feeling about this facility that is being accused of awful things by the State of Maryland? No. This NMS facility has had no federal fines or payment denials in the past three years. With respect to nurse staffing, NMS Healthcare was better than the Maryland and national averages in four of five measured categories. Bear that in mind when you read on to find out what overall rating this facility got for staffing. Residents at NMS got nearly three times as much daily attention from LPNs and LVNs (licensed practical nurses, licensed vocational nurses), as well as from physical therapists. They also had more daily time with certified nursing assistants. NMS Healthcare fell well below average, however, in the amount of RN time its residents got: only half as much as the national average, less than half the Maryland state average. (Medicare gave NMS a 1-star rating for RN staffing.) Despite the low RN figure, this facility did give residents more total daily nursing time than either the Maryland or U.S. averages. So it would appear that this facility's one low number (RN minutes per day) pulled down its other three high numbers (including LPN/LVN/physical therapist numbers that were very high) to give NMS Healthcare a 2-star rating for staffing. For the category of staffing, we compared the Medicare stats for NMS Healthcare with those of Sacred Heart Home. Both facilities are in Hyattsville, and they are less than two miles apart. NMS Healthcare gave its residents more total daily nursing time than the state and U.S. averages; Sacred Heart gave sharply less than average. Both facilities were skimpy on providing daily RN time: at NMS residents saw RNs 25 minutes a day; at Sacred Heart they saw them only 22 minutes a day. But Sacred Heart got a 2-star rating for RN staffing, while NMS got a 1-star RN rating. How do you figure that? NMS was way ahead in terms of LPN/LVN daily time per resident, while Sacred Heart was average. Sacred Heart did provide significantly more time with certified nursing assistants, but NMS was above average on this metric, too. NMS gave residents 27 minutes a day with physical therapists (three to four times the state and U.S. averages) while Sacred Heart gave them none. The verdict: Medicare gave NMS Healthcare 2 stars for staffing, and gave 3 stars to Sacred Heart. NMS Healthcare-Hyattsville had some good stats, and some not so good yet somehow they get a (cynic alert) a five star rating. For short-stay residents, NMS performed better than the Maryland and U.S. averages in two categories, about equally in one, and worse than the averages in six measured categories. Its worst stat was for resident improvement in functionality: only 37.4 percent of the short-stay residents saw functional improvement, versus the much higher Maryland and U.S. averages of 64.6 percent and 63.3 percent, respectively. So far, we have seen no justification for giving this facility a 5-star rating for quality measures. This facility's stats for long-stay residents were better than the state and U.S. averages in nine of 15 measured categories. More residents here were able to maintain their mobility, none of them suffered a fall with injury, and none were subjected to physical restraints. Hardly any of the long-term residents here had depressive symptoms (0.7 percent, about one-seventh the state and U.S. averages), and these residents were much less likely to need antianxiety or antipsychotic meds. Three more points for NMS. Long-stay residents here were less inclined to report having serious pain; less likely to need help in performing routine daily activities and much less likely (by more than half) to have urinary tract infections. But these residents were more likely than average to experience incontinence, or need ongoing catheterization, or lose too much weight. They were about twice as likely as the state and U.S. averages to have problems with pressure ulcers (bed sores). They were a little less likely than average to get flu shots. Subtract five points. Looking at the short-stay and long-stay stats combined, we find that NMS did better than average in exactly 11 categories, and worse than average in exactly 11 categories. How did such a middling performance merit a 5-star rating overall for quality measures? Who knows? Are we more skeptical about postive facts about this nursing home because the allegations against NMS? You bet we are. Has a ManorCare nursing home made a mistake with someone you love that ended in an awful tragedy? We can guide you through the Prince George's County's legal system, give you all your legal options, and fight for justice and compensation that you and your family deserve. Our legal system and a Prince George's County jury will hold a nursing home accountable if the facility does not make the settlement offer that justice demands. Call our nursing home attorneys at Miller & Zois today at 800-553-8082 or get a FREE no obligation case evaluation and review. Get the same detailed look at other Maryland nursing home facilities. Information about UTI, fall and bedsore lawsuits which are the most common nursing home claims our lawyer see. Call our nursing home attorneys todayat 1.800.553.8082 or get a FREE confidential and case evaluation online. Our attorneys will help you better appreciate your settlement and litigation options and assist you in charting a clear path to maximizing the trial or settlement value of your claim.